By this useful Article I guide you like other Linux tutorials that how to Install latest Yarock 1.1.3 on latest Linux versions, such as Ubuntu, Linux Mint. this is recently released with a new Radio service called Radionomy, which has replaced Shoutcast, support for importing APE files in the playqueue, MP4 audio tag reading and more latest functions. Yarock is a Qt Music Player it is designed to provide an easy and pretty music collections browser based on cover art. This Music Player has facility to provide multiple views such as Tracks, Genre, Artists, Albums, and it has includes features such as popular Music collection database (SQLite 3), Playlists Support, and also you can play Radio Streams, Mp3Gain tag support for volume normalization. and this player automatically downloads cover of art and also consisting on more facilities. Now use the following instructions how to install this latest Music Player. Now use the following commands in terminal and install latest Yarock 1.1.3 on latest Linux versions. 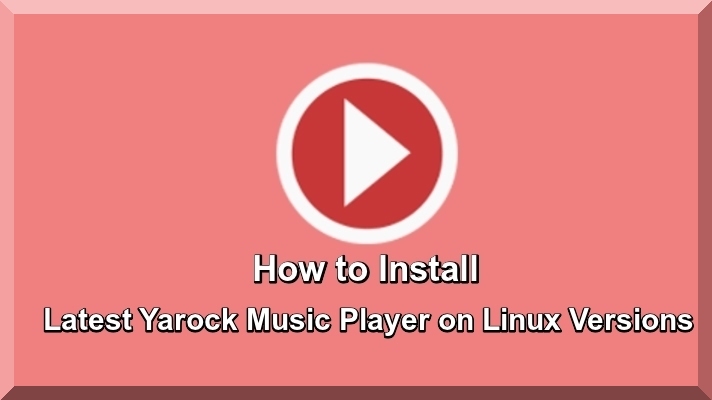 In view of the above this tutorial is very profitable like other Linux tutorials, install latest Yarok Music Player on Linux Basis systems and enjoy.